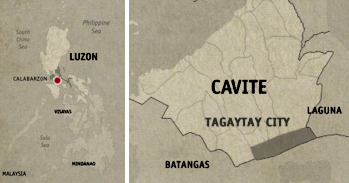 Finding a good cheap place to drink in Tagaytay has always been a problem for us. Not that the city is lacking in bars, but beer prices are simply too expensive for our usually meager budget. Having a bottle or two on those kinds of places wouldn’t be a problem, but we drink in buckets. With stress on the s.
And so it was, after our very satisfying lugaw dinner at Merienda ni Nanay, we proceeded to the restaurant strips lining Tagaytay’s Magallanes ridge. We went to the second floor veranda of the original Starbucks Tagaytay for a quick cup of coffee, always a nice chill place to hang out, before hunting for cheap beer. We tried the nearby bars overlooking Taal Lake and its diminutive volcano, but the prices, as we expected, were just too high. 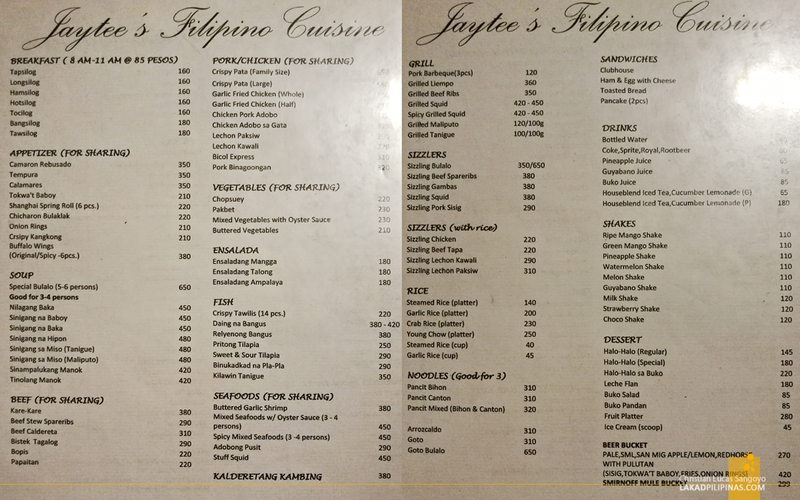 Almost losing hope and thinking of settling at the Baguio-ish Mile Hi Diner—our usual watering hole in Tagaytay, which has no view of the lake—we took a chance at Jaytee’s Filipino Cuisine. The restaurant is located right beside Starbucks Coffee, where Teriyaki Boy used to be, and it looks expensive—the main reason why we really didn’t check their menu right away. The interiors are all very well done—swanky and very clean—and it even has a rooftop dining area complete with roving musicians jumping from one table to the next (which I hate, lol). 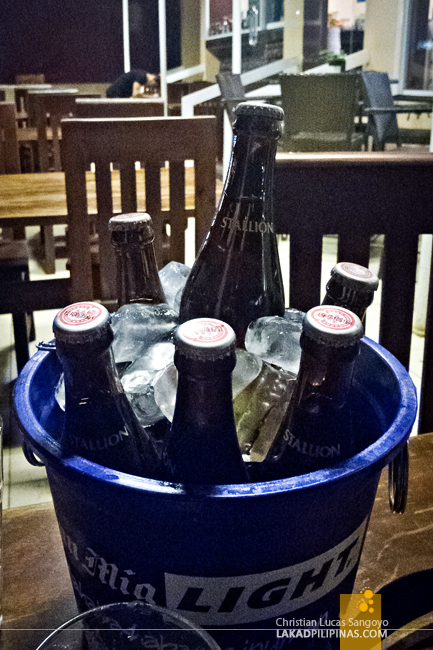 CHEAP BUCKET OF BEER IN TAGAYTAY! The rooftop area was packed full, but the ground floor dining hall and its adjacent al fresco patio was completely empty. We took a look at their menu and were floored to find the price of alcohol. A bucket (six bottles) of Red Horse beer is only PHP270.00 or PHP45.00 per bottle! Add PHP150.00, and you can upgrade the bucket with a plate of pulutan; you can chose from sisig, tokwa’t baboy, fries, and onion rings. Great! 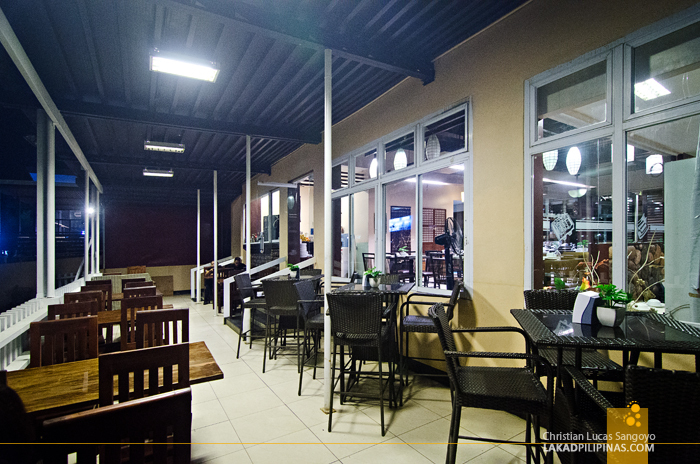 We seated ourselves outside, wanting to enjoy Tagaytay’s chilly evening with our beer. It was surprisingly empty, even on a Friday night, perfect for stories over alcohol. 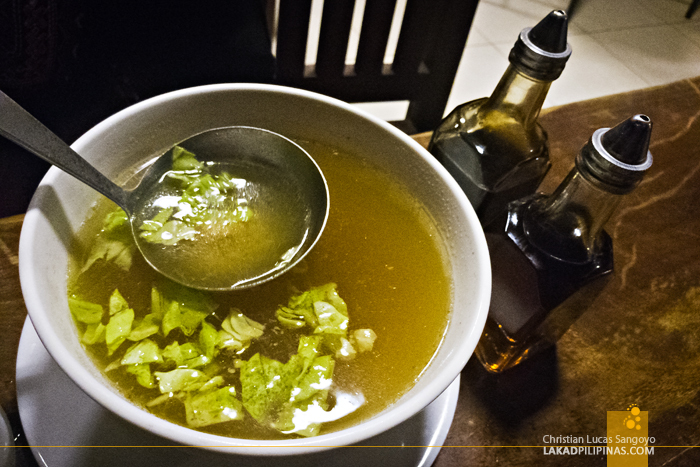 One of the staff was kind enough to bring us complimentary cups of hot bulalo soup. It seemed weird, paired with beer, but we thankfully took it nonetheless. After quickly finishing it off, it made us want to order something more. And that something more, a plate of pork barbecue which wasn’t bad for PHP120.00 (three pieces). The flavor was absolutely fantastic, only thing was, some parts were not as tender. Next time, we’d definitely ask for a well done version of this one. 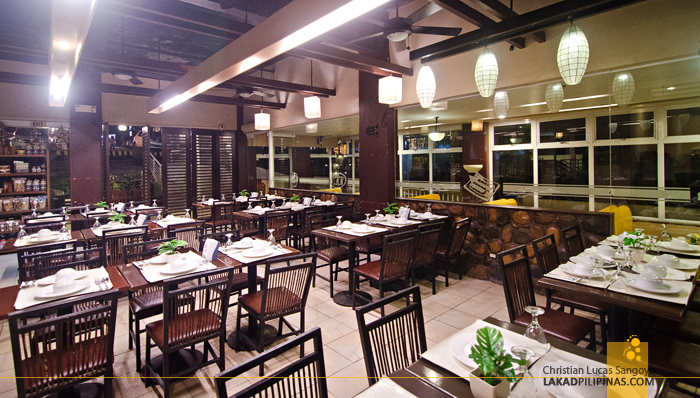 We went back at Jaytee’s Tagaytay the next night, this time, with a couple of more friends who just checked in at Crosswinds Tagaytay. 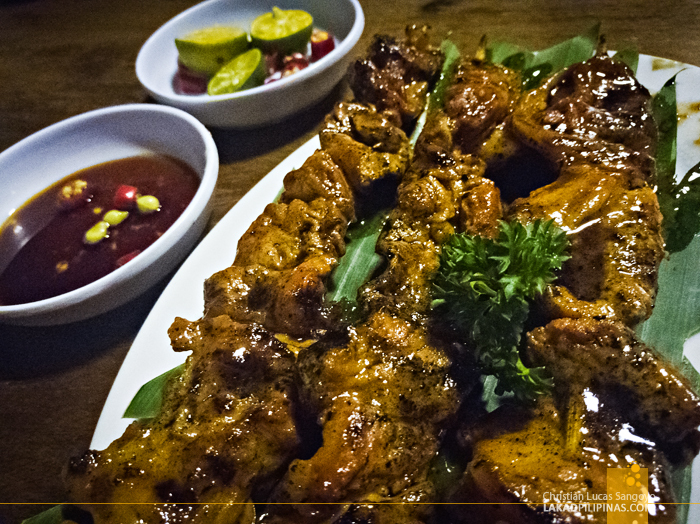 Again, we forewent with the pulutan paired with the beer bucket and instead asked for their garlic fried chicken. It was a Saturday night, and again, the place isn’t as crowded as other drinking places in Magallanes. 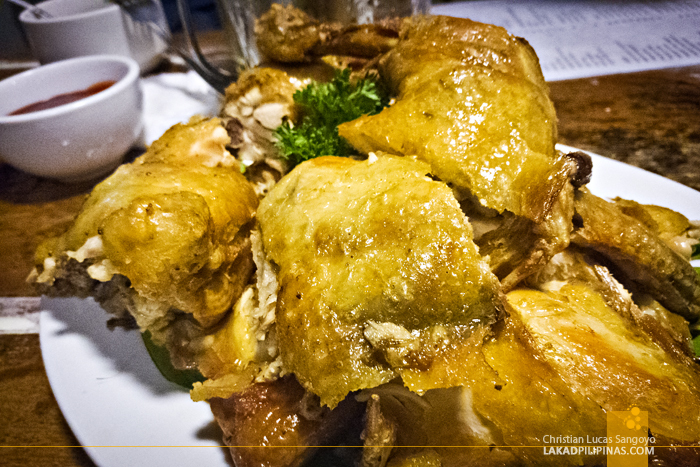 Over stories, we drank our beer, feasted on the fried chicken and enjoyed Tagaytay’s cold evening. Finally, a new drinking home in Tagaytay, and with a view to boot!